Going to the movies or to a live theater show can be one of the most enjoyable forms of entertainment. Simply the experience of going out with friends or family and taking in a show together is such a rewarding way to spend time together and be social. However, for those with hearing loss, these types of activities often times come with anxiety or dread that they will not be able to hear well. In today’s world it is easy to sit back and wait for the movie to come out at RedBox, on Netflix, or on DVD. Many people with hearing loss choose to wait so they can watch in the comfort of their homes, at a volume that they require, and with closed captioning on the screen. 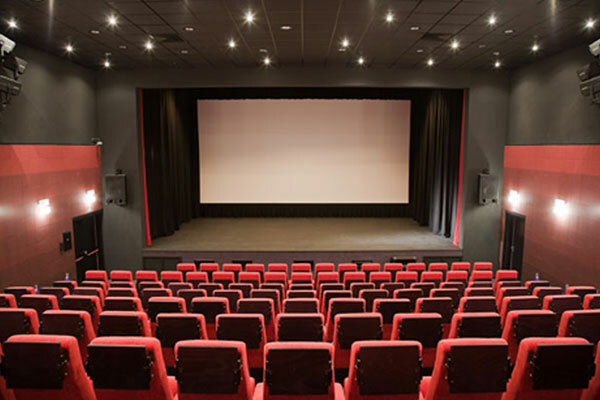 What many people may not realize is that movie theaters and live theaters are becoming increasingly more accessible for those with hearing loss. When going to the movies, you can search for showtimes that have either open or closed captioning, or assistive listening devices. Open captioning is when the captioning is projected right onto the movie screen, while closed captioning is when a separate device is used that provides captioning. Open captioning is often the preferable option but is not available as often as closed captioning. You can search online on websites like Fandango or you can call the theater and ask for special showtimes. When going to live theater performances there are several options that may be available including open and closed captioning, FM systems, and looped seating areas. Open captioning is again a very popular option but is only offered at select performances. FM systems and looped areas involve the use of a telecoil. Many hearing aids are equipped with a telecoil. This system allows you to directly tap into the audio coming from the actors on stage and makes listening much easier. Some theaters will provide personal loop systems that you wear around your neck with or without headphones, and some theaters have a special seating area that connects directly to your hearing aids. Even if you do not wear hearing aids, a headset is often available. If going to live theater is an important part of your life or even something you do once in a while, ask your Audiologist if there is a telecoil in your hearing aids and how to utilize this at the theater. Everyone should be able to enjoy the movies and live theater without anxiety or worry that they may not be able to hear well. Sometimes all it takes is a little planning ahead for special showtimes and a quick call to the theater. If you have questions, please call our office and we are more than happy to discuss these options in greater detail with you!